High levels of harmful bacteria found in many raw meat dog foods may be dangerous for more than just Fido, a new study suggests. Not only can these foods put a dog at risk, but people who live with that dog, particularly the elderly, young and immuno-compromised, are vulnerable, scientists say. “This research offers further compelling evidence to support vets’ concerns about the potential animal and public health risks associated with feeding pets a raw meat-based diet,” said veterinarian Dr Daniella Dos Santos. She is junior vice president of the British Veterinary Association. “Bacteria such as E. coli and salmonella can cause significant gastrointestinal disease in animals,” Dos Santos explained. “Pets can also shed potentially harmful pathogens present in raw food into their environment, so there is a risk to owners both in handling the food and coming into contact with the animal. Pet owners who choose to feed a raw food diet should be aware of the potential health risks and take full precautions while storing and handling the food,” she warned. Researchers led by Dr Ingrid Hansson, from the Swedish University of Agricultural Sciences in Uppsala, Sweden, analysed samples from 60 packs of raw meat products for dogs. The food came from 10 different manufacturers in Sweden, Norway, Finland, Germany or England. The products contained either uncooked meat and/or edible bones and/or organs from cattle, chicken, lamb, turkeys, pigs, ducks, reindeer or salmon. The study was published online in the journal Vet Record. Never let dogs lick people’s faces immediately after they eat raw meat dog food. Also, don’t give dogs raw meat products it they’re being given antibiotics, because this could increase the risk of antibiotic resistance. “Dogs in families with infants, elderly people or immuno-compromised individuals should also not be fed [raw meat products], as these groups are more susceptible to infections,” Hansson’s team wrote. The British Veterinary Association also does not recommend making a raw food diet at home without veterinary guidance due to the potential for nutritional deficiencies in homemade diets, Dos Santos said. “We would advise any owner wanting to try a raw meat-based diet for their pet to first consult a veterinary surgeon,” she said in a journal news release. The results support what human nutritionists have been advising for decades – stay clear of heavily processed foods, and eat wholesome, balanced meals that are prepared fresh from the highest quality ingredients available, are lightly cooked, and have no preservatives. This same advice appears to be true for our canine best friends. I am very much against the raw food diets. Many dogs can do well on a raw food diet. However, they have the potential to be life threatening. Any food that can potentially kill even one animal is not worth the risk.. There is also a very good study done by my colleagues (that will be published in the next year) who analyzed several different recipe’s for raw food diets. ALL of them had nutritional deficiencies as well as some serious bacterial contamination.. 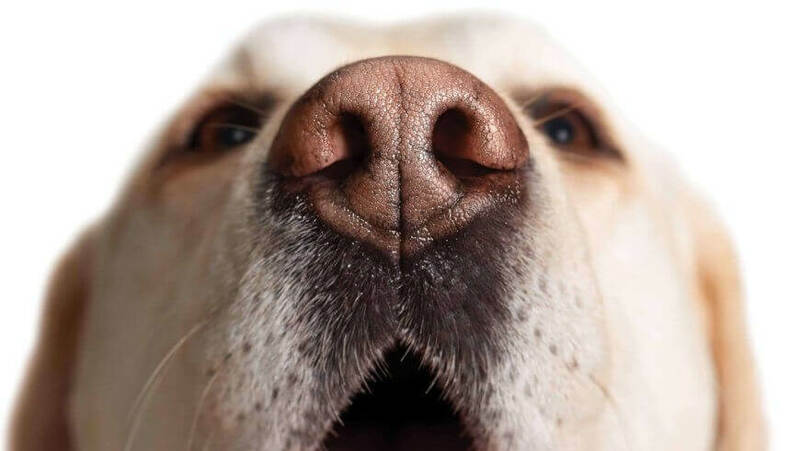 Even if dogs do not get sick from the bacteria (such as Salmonella or pathogenic E. Coli- the Jack -in the -Box killer bacteria) they can become “chronic shedders”. This means they are carriers of the bacteria which is shed in their stool, and becomes a public health risk to people who might be exposed. This can be especially serious if your dog is ever around any children, elderly immuno suppressed people (those on chemotherapy, HIV etc). Laura Scott holds a Master’s degree in animal nutrition. Liz Pask is a PhD candidate studying nutritional toxicology. Raw diets have been found to contain Salmonella, Campylobacter, Escherichia coli O157:H7, Clostridium perfringens, Clostridium botulinium, and Staphylococcus aureus, all of which are known human and canine pathogens. These bacteria are shed in dog stools and may be transferred to carpets and furniture as the dog moves around the house. These pathogens usually only pose a serious human risk to the immuno-compromised, the elderly, and young children; however, this is a very important consideration if you are feeding a raw diet and have people in these risk groups living in your home. Recent newspaper reports have brought this little-known parasite to the attention of the dog-owning public. What is it and why have we not heard of it before? Her new book out titled PROTECT YOUR PET: MORE SHOCKING FACTS. It has chapters on the “Raw Meat Diet Controversy”, Ann is joined by many canine nutritionists and Veterinarians who now urge dog owners to be VERY CAREFUL about feeding raw meat to their dogs. Our present day domesticated dogs have been eating cooked foods long enough to cause a change in their digestive and glandular systems and the way that they will react to raw foods. NO human nutritionist is recommending that all humans should eat a diet that only consists of bananas and leaves based on the theory that humans descended from the Chimpanzee even though the DNA profiles of the Chimpanzee/human is a closer match than the DNA profiles of the wolf/dog. And . . . there is not a single dog owner feeding their dogs a diet based on the wolf/dog theory who is also feeding themselves a diet based on the nutrients a wild Chimpanzee eats. Advocates of a raw meat diet feel that it’s “bringing your dog back to a more natural style of living”. None of the people who are promoting a raw meat diet (that I have encountered) have actually had contact with a wild dog. I have a wolf sanctuary, and the truth is that wild-born wolves taken into captivity are typically malnourished. Most people *assume* that because wild dogs don’t have the opportunity to cook their food, that nature has set up the perfect diet for them. This is simply not true. We know from their carcasses that they die of splintered fowl bones and have very bad dentalia (dental problems).As for the statement that raw meat is a biologically correct food, Humans have survived healthfully on cooked foods for thousands of years. It is more than safe to say that diseases such as cancer are not caused by cooking your meat.